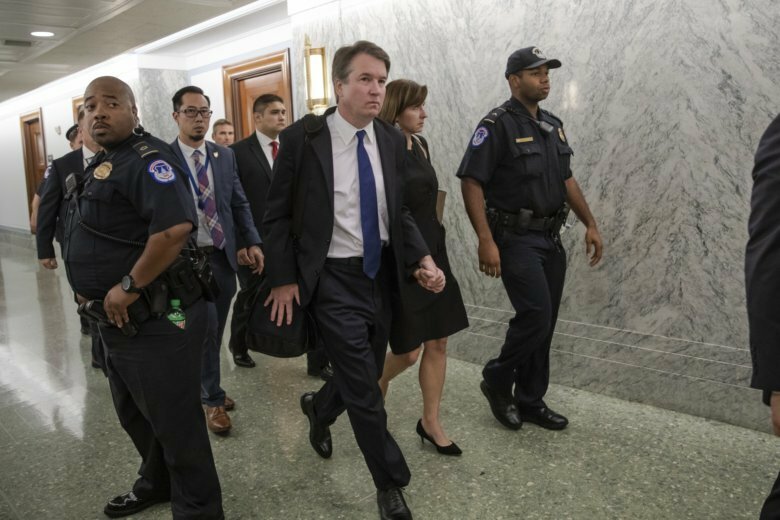 The most recent of these calls came from Yale, Kavanaugh’s alma mater for both undergraduate studies and law school. Heather Gerken, dean of the Yale Law School, called Friday for a delay pending additional investigations into allegations against Kavanaugh of sexual misconduct in both high school and college. Proceeding with the confirmation without those investigations would be against “the best interest of the court or our profession,” Gerken wrote. Gerken’s statement follows the ABA’s call for a delay. Kavanaugh and others had cited the ABA’s high regard of Kavanaugh as proof of his professional and moral bona fides. On Friday morning, Judiciary Committee Chairman Chuck Grassley played down the significance of the ABA position. The Iowa Republican described the ABA as an interest group like any other, and said the letter represented the view of an individual, not necessarily the whole organization. “We’re not going to let them dictate our committee’s business,” Grassley said. The editorial doesn’t attempt to parse whether Kavanaugh’s or Ford’s testimony was more credible. But it concluded that “in a world that is finally learning to take reports of harassment, assault and abuse seriously,” the nomination must be abandoned. That original endorsement editorial concluded that “anyone who recognizes the humanity of the unborn should support” Kavanaugh’s nomination. The reversal is significant given that Kavanaugh has cited his Catholic faith and Jesuit education in defending himself against Ford’s accusations. In his opening statement Thursday, Kavanaugh twice referenced his years as a student at Georgetown Prep.